This Section provides an active international forum for the development and promotion of public libraries which serve the whole community in the context of the information society and ensure free and equal access to information at the local level. It also includes mobile libraries. Inspiration in the Eternal City! 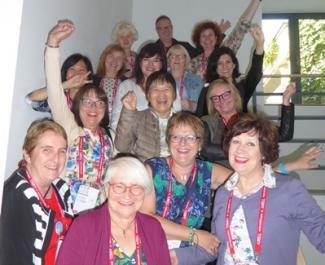 Join us at our Satellite Meeting in Rome 21-22 August 2019 when we will explore 'The evolving concept of ‘library’ and its impact on library design!' Be inspired in this most beautiful of cities. Will you be on the winner's dais in Athens? Is your public library something out of the ordinary? You still have time to enter the IFLA/Systematic Public Library of the Year Award? Nominations close on 15 April 2019. Are you eligible to vote for the Public Libraries Standing Committee? Make an informed choice, read our candidate profiles on our blog.